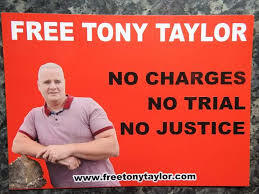 Tony Taylor, Gabriel Mackle & Neil Hegarty – Three Irish republican prisoners among dozens but what do they have in common? Today they are all victims of internment! Some might say oh they had their “licences revoked” that isn’t internment, they obviously did something wrong, broke their conditions; sure they don’t just throw you in jail for nothing! Well to those people I say this - Yes they have had their licences revoked, but ask yourselves why? Is there is a reason? Is it good enough in 2017 to have men thrown in Jail and not give an explanation? Is putting a man in jail after a sentence served and not giving a reason, not internment? To me, it is absolutely internment.